Books are among my favorite things, so it makes sense that with a grand child, I have some favorite board books, right?! It is a habit of mine at the library, to check out the board book shelf and the picture book shelves to bring home a stack of “new” stories and old favorites. That is how I discovered Global Baby Girls. 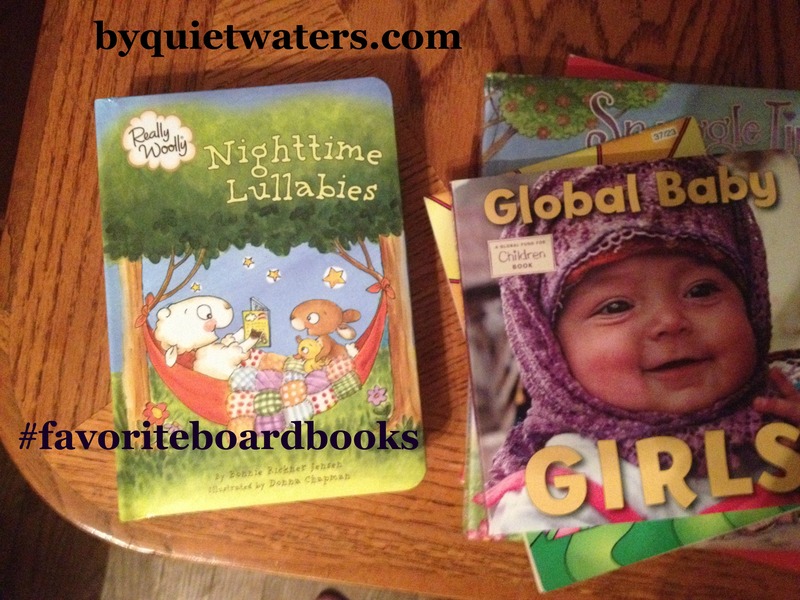 Readers of By Quiet Waters probably know, I am an all girl mom, and am starting out as an all girl Nana! My granddaughter is definitely taken in by the beautiful photographs of baby girl faces, children from all over the world. The photographs are beautiful, for sure. What I also like is the message of this little book. Baby girls are beautiful, strong, capable, smart and can change the world! I love reading this book to Joyness, and I get tickled when her aunties are also in the room to hear the true words. Usually one or two or three “big girls” will gather around and the spirit of affirmation grows! After I returned this book to the library, I promptly placed an order for our own copy. We keep stacks of books for sweet baby girl in a couple different rooms and I often find Global Baby Girls on the top of the stack! If you have baby girls in your life, I encourage you to take a look at this book! Global Baby Girls is also available in Spanish at Amazon! 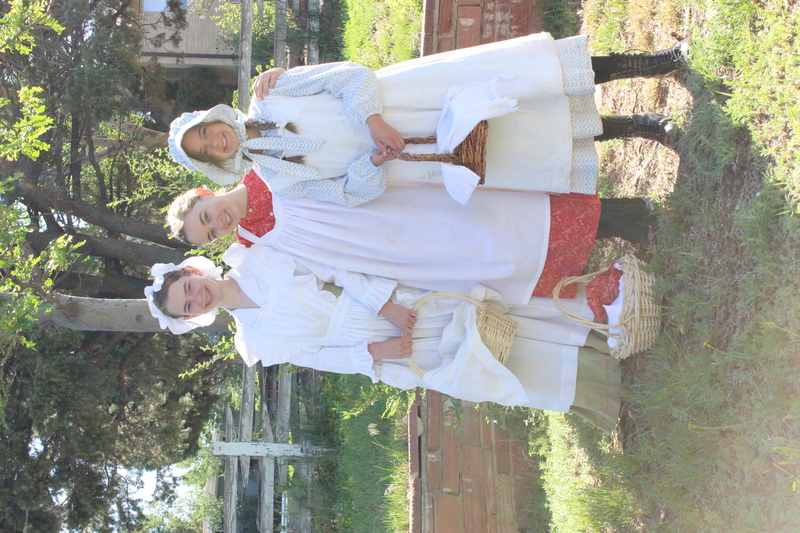 Homeschooling has been a wonderful journey for my family. One of my favorite things about the journey is having a more intimate connection with each of my kids as they discover who they are. We have also enjoyed many many hours of nature study and exploration. Now that the homeschooling journey is coming to a close, new exciting adventures are before us. But that doesn’t mean I will let those connections go. And the hours of nature study and exploration will give way to maybe an afternoon here or there, but I’ll still get us out there. Especially with my youngest, my math science nature girl. So I jumped at the chance to review Nature Girl A Guide to Caring for God’s Creation By Karen Whiting and Rebecca White. 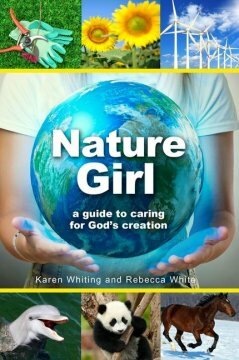 Nature Girl A Guide to Caring for God’s Creation By Karen Whiting and Rebecca White. Being a “green girl” for God means more than just caring for our planet. It also means appreciating God’s creations and understanding our responsibility in caring for the earth. Each chapter covers different topics like water, air, energy, recycling, and renewing the earth, and includes crafts, Scripture verses, games, quizzes, interviews with real people and quotes from real girls. The book also contains science-based activities, career ideas, plus resources for more information. Part of the bestselling Faithgirlz brand, Nature Girl: A Guide to Going Green is a fun read for any girl who enjoys science or the outdoors and a great resource for parents, homeschoolers, and educators. This book is a wonderful tool for nature minded sweet girls. I can imagine handing this book to one such young lady in a basket with a few tools and supplies so that she can get right to work exploring, experimenting, learning! I am thankful to BookLookBloggers for the opportunity to review this book. Years ago there was a young woman pursuing a college degree, hoping for a career that include travel. Young woman met Great Guy, and the degree was set aside for marriage and parenthood. No regrets, but I have wondered if it would be possible to go back to school. Recently I read a post by Perna on “Life as Mom” and felt an “aha” moment. My “home schooled” children are each enrolled in a dual enrollment, early college program. I looked at the still very full calendar, there are a few slivers of unassigned time. A short list of things I would like to learn, or just grow in came quickly and a plan is put together. 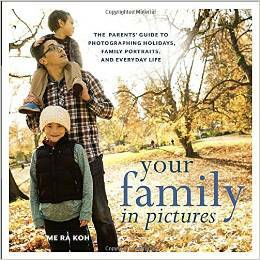 In “your family in pictures”, Koh covers how to set one’s self up for success, developing a photographer’s eye and tips for photographing family in various situations. To measure growth in the use and understanding of photography with my camera I plan to shoot a before, and an after photo. The after photo will be one shot with the lighting and focus tips in each section. How about you? 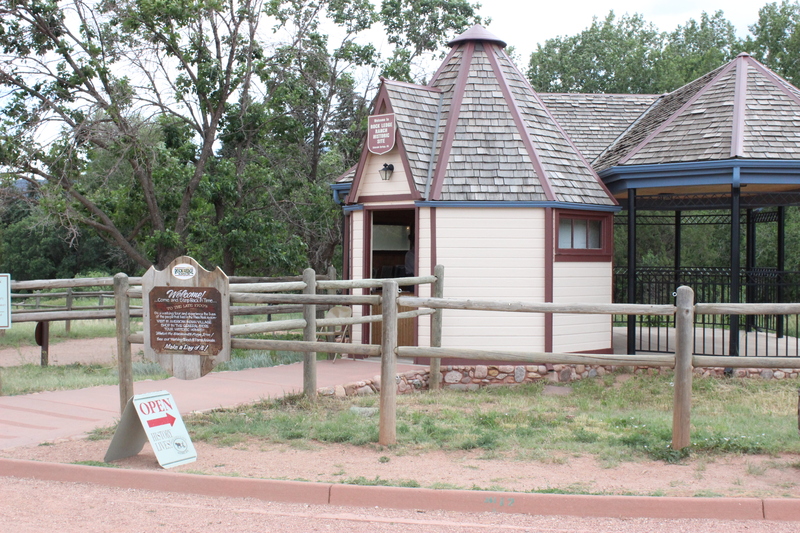 If you could find some small spaces of time in your week, what would you like to invest a little time in learning? This book was provided by the Blogging for Books network in exchange for my honest opinion. Two of my kiddos are starting back to school this week, but it is very different than in the past. We’ve home schooled since the beginning with them, but this fall Mae and Petal Rose begin a full time course load at a school with a hybrid early college program. So they don’t go full time (Monday through Friday) but it is still a significant amount of time away. I am committing this next week to a little less of my own endeavors and plans, and a lot of watching & note taking to do my best to make this transition as smooth as possible. Backyard Smores & Stargazing – we did a few fun things, but not this one. Most nights we were falling into bed dog tired after dinner. Attend Step into My Shoes and spend time after processing. Not letting this the opportunity to learn and grow pass me by. Organize laundry/dish washing roomDone, some plumbing and gas work and not things are a bit jumbled again. This will be an ongoing job until I can move dishes back to the kitchen! 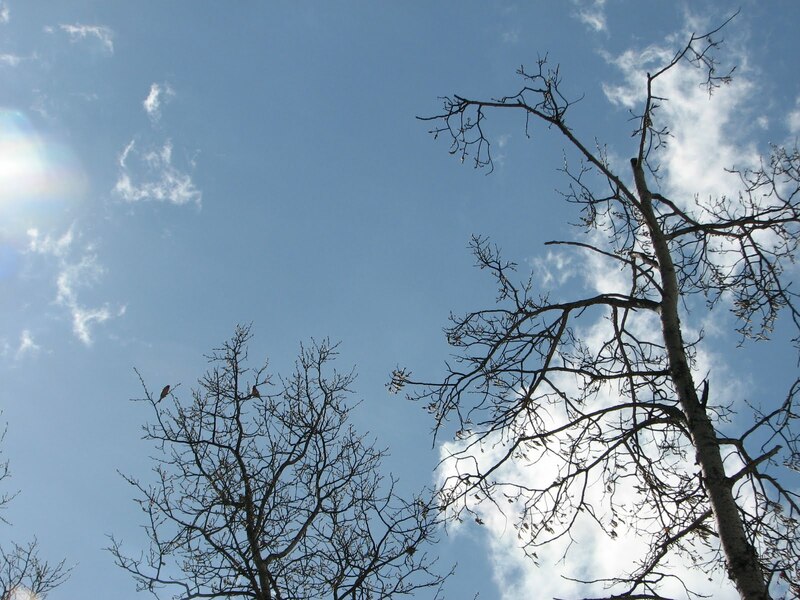 Last week a friend and I were discussing the “leaf out” and she explained to me some of the signs of spring in the area. 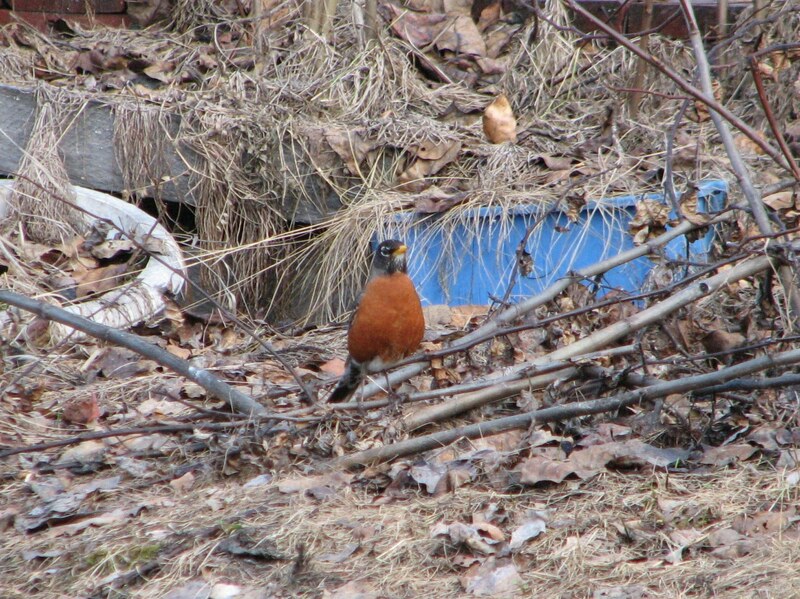 Nearer to town the leaf out had begun and someone reported seeing a robin. We live about 12 miles north of town, and appear to be about a week or more behind in the appearance of the stages of spring. During this past weekend we spent quite a bit of time in the forest and around the ponds that are all around. 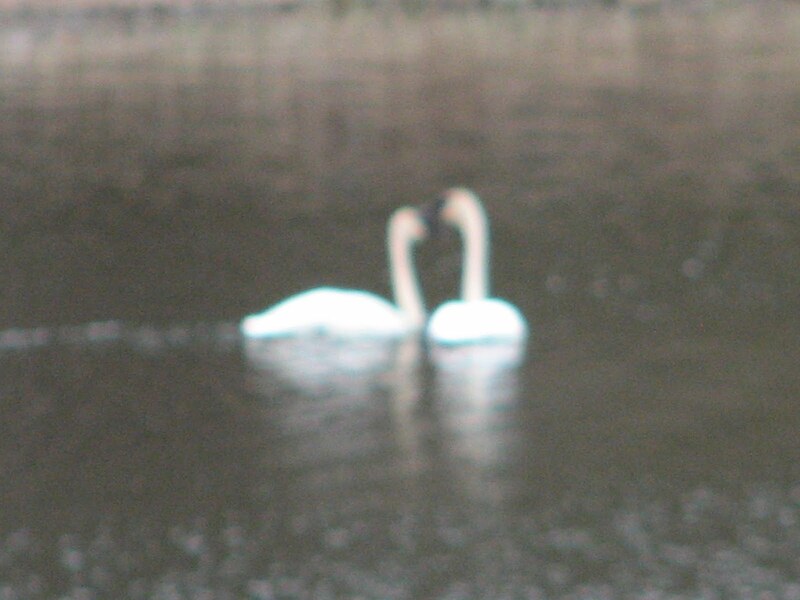 As we drove by the Mill Pond I snapped a few blurry pictures of the swans…and just missed the “heart”. The next day we wandered by foot to the Mill Pond, late in the afternoon. While Builder Man took the lovely ladies for a paddle boat ride, I took the delightful opportunity to bird watch. A melodic quick red wing blackbird escaped my camera’s grasp. And this morning, darting past several windows and lighting upon the railing just outside the window directly in front of me, a blue jay. Of course, he flitted away before I could get the camera ready.